Google is on a mission to make the web a faster place. It’s important for people to realize the advantage they have by jumping on AMP before everyone else does too. What the F*** is AMP? Don’t believe the tortoise— faster is always better. The initiative allows more people to build better websites & landing pages — especially for nonprofits— that load super fast and work exceptionally well. Traditional websites have been built on the same codebase and foundation since the beginning of time, so the AMP embraces the web’s strong foundation while implementing bulletproof advancements in technology. A properly executed AMP website means that by the time you tap on a link in your email client— the page has already popped up in your phone’s browser… without the loading icon. What does AMP mean for my website? AMP allows you to dominate a search by having an optimized page. Google is favoring AMP pages to show at the very top of the search results— yes above result 1 and below the ads— that are AMP friendly. That means there is an opportunity to come in and dominate your search term by stepping up to the AMP movement. How can I get started with AMP? 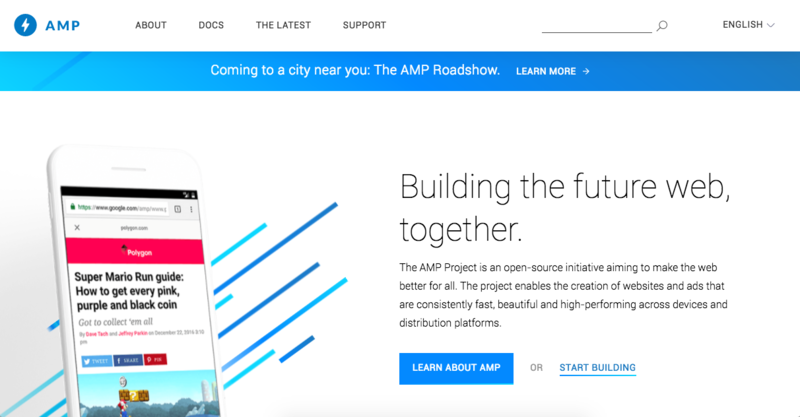 The first thing we recommend is getting yourself familiar with AMP by checking out the official AMP Project by Google. Drag the file into your web browser to view it -or- right click the file and select “Open With” and open with Chrome, Safari, or Firefox. Some may argue that this could be done in one step with browser extensions, web apps and so forth. Those methods work great, too. So keep on using them.